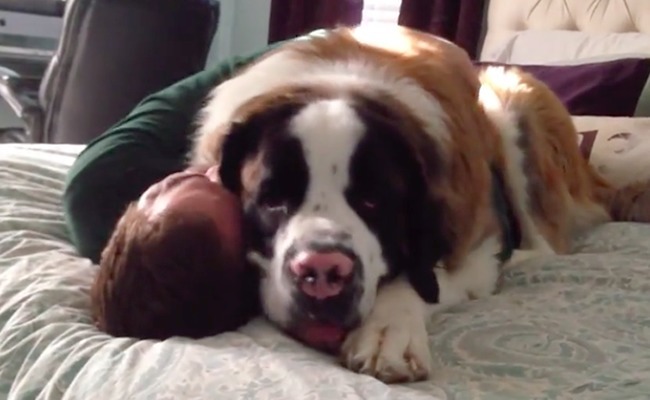 This Saint Bernard, named Sully, loves his person. Look at this sweet snuggle! At the Chemo ward in a country Queensland hospital the patients were regularly visited by wonderful caring dogs with their owners. One of these regular visitors was a St. Bernard who was just the right height for us to easily pat and make a fuss of him while we had our treatment. I looked forward to their visits.